SHE NEVER TOLD ME THAT. 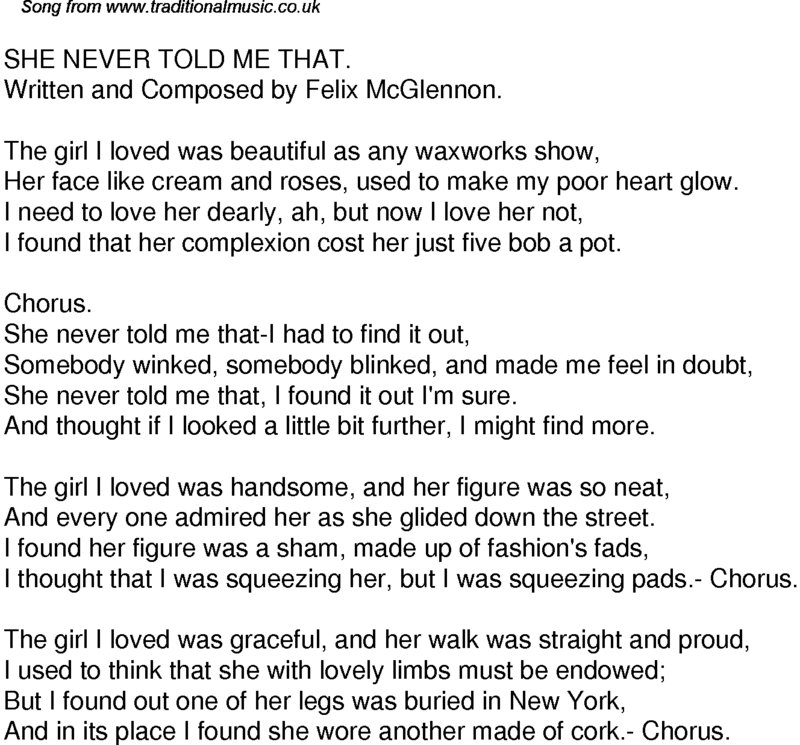 Written and Composed by Felix McGlennon. Her face like cream and roses, used to make my poor heart glow. I found that her complexion cost her just five bob a pot. She never told me that, I found it out I'm sure. And thought if I looked a little bit further, I might find more. And every one admired her as she glided down the street. I thought that I was squeezing her, but I was squeezing pads.- Chorus. And in its place I found she wore another made of cork.- Chorus.